How to set goals that work? There are many different techniques that can be used to change behaviour (93 according to a recent list!). Goal setting is a well-known technique that most people have used at some point. Goal setting is used by charities (e.g., Alcohol Concern, a UK charity, asked people to set a goal to quit drinking for the month of January), as part of commercial weight loss programmes and even in fitness apps. One recent review looked at a 384 tests of the effectiveness of goal setting across a range of different fields to see if goal setting really works, which types of goals work best and if goal setting works for everyone. Does goal setting work to change behaviour? Goal setting works for changing lots of different behaviours (including recycling, sports performance, educational goals and health) even when it is used just on its own with no other behaviour change techniques. What is surprising is that goal setting doesn’t necessarily work better when it’s combined with other behaviour change techniques that it is commonly paired with. For example, adding feedback (i.e., telling people their current standing and / or progress towards the goal) to a goal setting intervention doesn’t increase its effectiveness. More importantly, getting people to explicitly commit to the goal or even just asking them how committed they are to the goal actually decreases the effectiveness of goal setting. The addition of goal setting, improved the effectiveness of one behaviour change technique. Interventions that included monitoring someone’s performance without giving them feedback (e.g., recording how many portions of fruit and vegetables someone eats with their meal) are more effective if goal setting is added too. 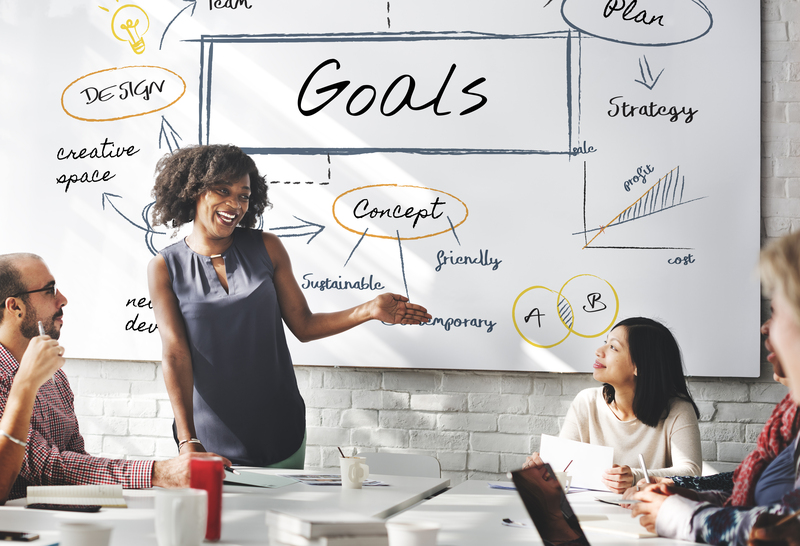 There are a lot of different factors to be taken into account when setting and evaluating goals some of which are widely known (e.g., SMART goals) but others that might not be widely considered. What can improve the effectiveness of goal setting on behaviour change? There is a myth that setting an easily achievable goal is more effective for things like losing weight. However, behaviour change is improved if difficult goals are set. Difficult goals are those that are expected to be achieved by only a low proportion of people, these are more effective at changing behaviour than moderate (those expected to be achieved by 15-50% of people) or easy goals (i.e., those that are expected to be achieved by more than half of people). Telling people about the goal is a good way to increase successful behaviour change. Goals are more likely to be achieved or progress made towards them, if the goal is set publicly (i.e., you have face to face contact with someone as you are setting a goal or you tell someone about your goal, e.g., you tell your work colleagues that you are planning to quit smoking). Indeed, writing down goals and putting them in a public place is a recommendation in sport psychology too. Working as a group on a goal also leads to more successful behaviour change. Setting one larger goal as a family, a work group or sports team or even a group of friends is more effective than each person in that group setting an individual goal. Goals that focus on behaviour (e.g., weight loss programmes often get people to set a behaviour focused goal such as eating only 1,200 calories per day) are as effective as goals that focus on outcomes (e.g., a goal of losing a particular amount of weight each week). Goals that aim to improve your performance relative to a current standing (e.g., walk 5,000 more steps per day) are as effective as those that are based on an absolute external standard (e.g., walk 10,000 steps per day). Goals that are self-set, set by someone else or are collaboratively set are all equally effective. It’s also ok to set more than one goal at once or to repeatedly set the same goal over a period of time – there is no difference in effectiveness. Practitioners if encouraging patients to set goals or if setting goals for patients should consider these points. Don’t ask someone how committed they are to the goal: if they’re not highly committed, it could backfire by drawing their attention to this!